To my lovely followers I must apologize. I want to let you know why I haven’t posted in quite a while. I’ve been busy on this project. Another apology. This post is loooooong. However, if you have the time, I would love for you to stick with it…. After two months of writing every day – Poetry Postcard Month and National/Global Poetry Writing Month (NaPoWriMo/GloPoWriMo) – I finally feel comfortable sitting down and writing every day. As a matter of fact, I miss it when it doesn’t work out. I even get a bit grumpy. Not that all the work is good. That’s not the point. I am finding that the more I put down, the more I see. And that is good. 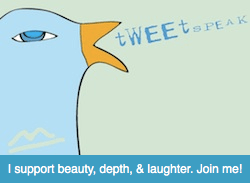 To continue to challenge myself, I am taking a class called Play It Forward sponsored by Tweetspeak Poetry. It is a twelve-week course to help shake me up a bit. I’ve been looking for new inspiration lately. I feel I’ve gotten too serious, or am on the edge of the nefarious “writer’s block.” And I thought this would plunge me into a deep cool pool where I can splash and play and see through some new lenses. I was right about new lenses. We do play, but the work is deep. We have weekly themes and an array of resources to experience. Also, taking an “Artist’s Date” weekly as described in Julia Cameron’s The Artist’s Way is mandatory. This playtime has proven to be rich and fun. A few weeks ago, our theme was “extremes” and after an Artist’s Date to the Denver Art Museum, I began this project. I plunged into the extreme of the Moon and her cycles – it was a full moon when I started – and my relationship to Spirit. I soon hope to have an Artist’s Statement to accompany the piece. It combines my photography with my poetry, quotes and definitions. It combines science with Spirit and art. It is done in pencil, ink, and images are manipulated in PicMonkey. It is on recycled drawing paper sized 18’x24′. Framing TBD. I know what I want, but it is a bit larger than when I started out and I need to adjust. It’s hard to explore the words from the photo. So I below are the images which my poetry encircles, and the definitions, quotes, and labels. the center of interest or activity. the state or quality of having or producing clear visual definition. one of the fixed points from which the distances to any point of a given curve, such as an ellipse or parabola, are connected by a linear relation. An apsis is an extreme point in an object’s orbit. An equilibrium point is a constant solution to a differential equation. A differential equation is a mathematical equation that relates some function with its derivatives. In application, the functions usually represent physical quantities, the derivatives represent their rates of change, and the equation defines a relationship between the two. For any satellite of Earth including the Moon the point of least distance is the perigee and greatest distance the apogee. apsides, either of two points in an eccentric orbit, one farthest from the center of attraction, the other nearest to the center of attraction. There comes the peace in which all sorrows end. We each have a tone or note that combines with the notes and tones of the rest of life to create a universal song. When we surrender the need to figure it all out and cultivate the ability to let it all in, then our Earth walk becomes a sacred dance of healing service on the planet. More than the world needs saving, it needs loving.